JEAN: To me, quilting is better than chocolate, because chocolate is good only for instant gratification while quilting lasts all day! Being a quiltaholic, I am always thinking about what would make a good subject for a quilt, therefore my computer files are loaded with inspirations. With an inspiration at hand, I begin pulling fabric from my stash, which is probably the most fun of the process. I select the most difficult part of that image to concentrate on. If I can master that section, I know the remainder of the quilt is a "piece of cake"! Using fabric as my canvas, it allows me to work from my heart through my hands. The end process of free motion quilting increases interest and dimension, drawing the viewer to take a closer look to the detail. I enjoy the unexpected result that working with fabric produces. Each new creation only motivates me to my next project, and usually I am so addicted to quilting that the next project has already been decided. A day without quilting is not a good day! I live in the senior living community of Cascades-Verdae of Greenville, SC where I have made 27 quilts for the veterans in five years. 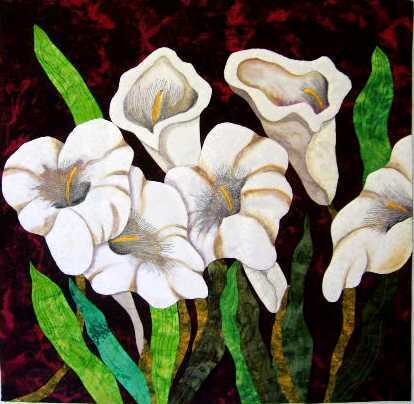 I began quilting in 2005. You can find my other site at quiltaholiccreations.etsy.com. SERGE: Having had a career in aeronautical engineering and computer system design I had always been involved in, and felt comfortable with, things technical. So when I retired I decided to challenge myself and put the other half of my brain to use. 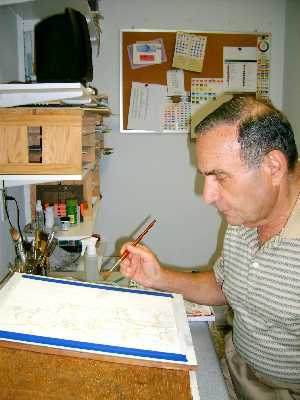 In 1999 I attended 10 weekly classes to learn pen and ink techniques for drawing portraits, and in 2006, with Jean's persistent encouragement, I took weekly classes that lasted a little over a year. 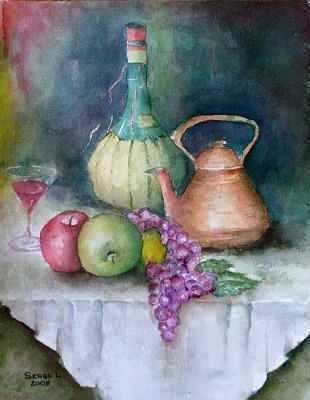 These classes, together with films and books by other watercolor artists gave me the confidence to dabble in it. 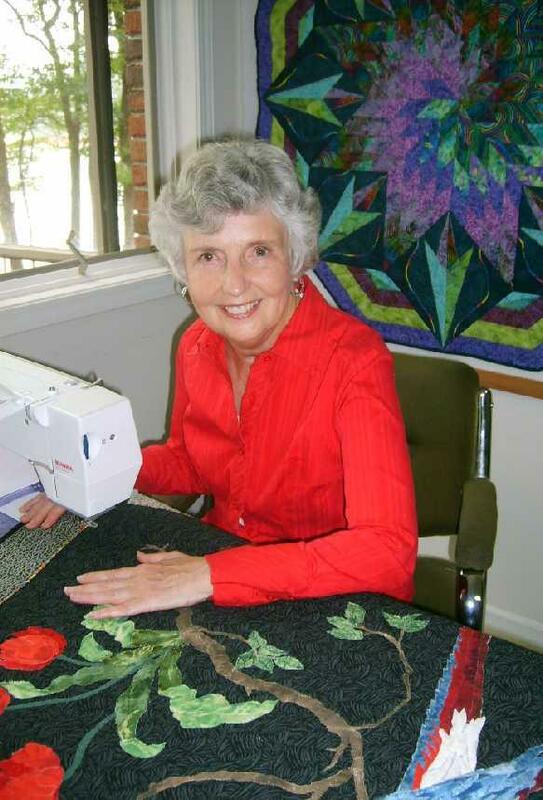 In 2013 Serge and Jean moved to the Cascades-Verdae Retirement Community in Greenville, S.C. Jean became active in organizing a group for making quilts for veterans, which is part of the National Quilts of Valor Foundation.